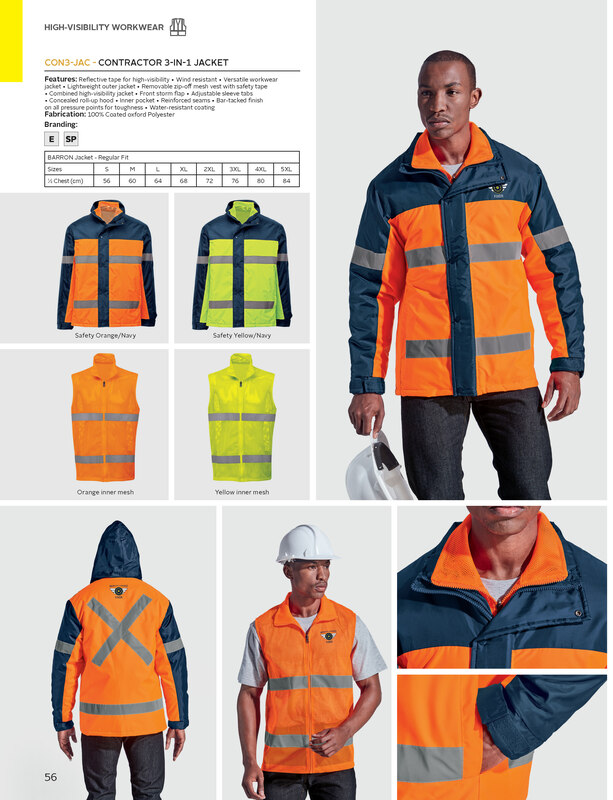 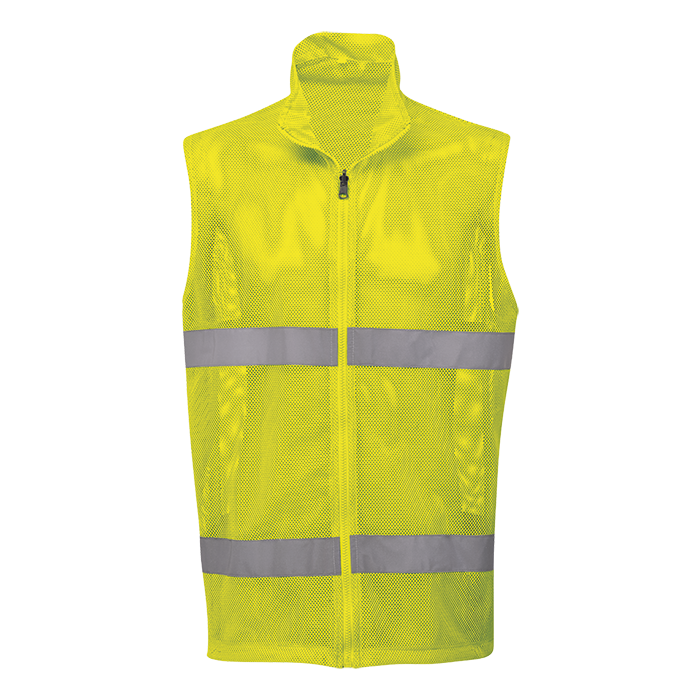 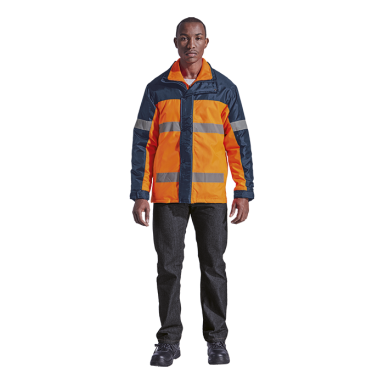 New versatile work wear jacket offering three wearer options: lightweight outer jacket, removable mesh vest with safety tape and combined hi-viz jacket. 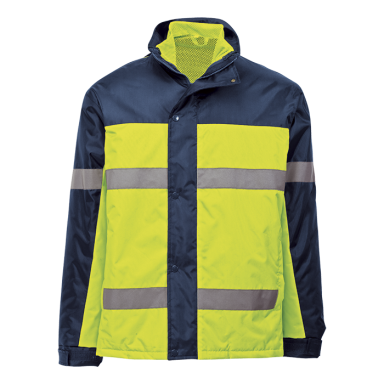 Features include front storm flap, adjustable sleeve tabs, concealed roll-up hood and zippered inner pocket. 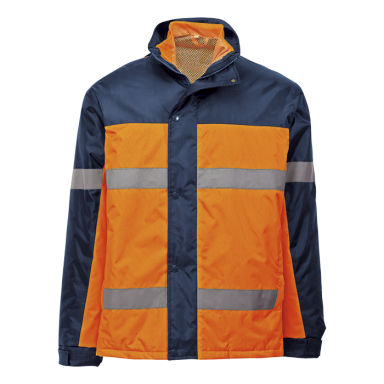 Reinforced seams and bar-tacked finish on all pressure points for toughness. 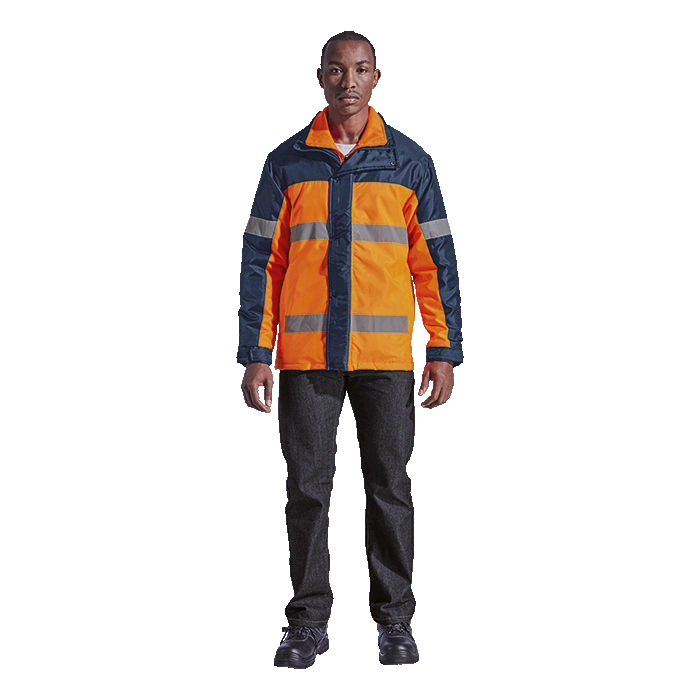 Two colourways.